Tomorrow, I will make my 120 mile round trip commute for the last time as this week ends my employment at Michigan State University. Starting in August, I will begin a new journey as a Clinical Associate Professor in the Leadership and Innovation (EdD) program at Arizona State University. I will be working remotely from Michigan and traveling to Arizona a few times per semester. 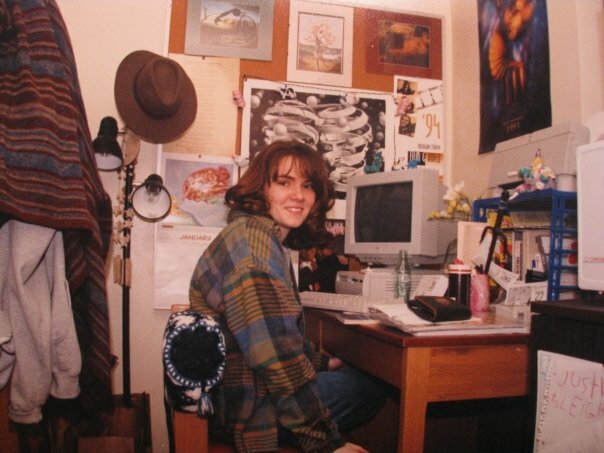 Twenty-four years ago, I stepped foot on campus as a first generation college freshman. Since then, (with the exception of a two year window right after I graduated with my BA) I have had a direct affiliation with MSU – either as an MA/PhD student and/or employee. Over the years, I have collected a boundless amount of institutional memory. I experienced the university as a student (in two different colleges, in three different programs), an alum, as a fixed term instructor, advisor, academic specialist and administrator. MSU has given me the world, quite literally. I have had the opportunity to teach and present overseas, something I never would have imagined as a possibility when I stepped foot on campus 24 years ago. If you click through the archives of this blog, you’ll see almost 15 years of reflections on my work at MSU – it’s difficult for me to summarize the depth of my experiences and opportunities in one singular culminating farewell post. I am excited for my new adventure, a new opportunity to gain institutional memory. I am extraordinarily thankful for every opportunity MSU has given to me, every opportunity I have created for myself, and every single person I have had the great fortune of crossing paths with during my time as a Spartan. Luckily, I work in an industry that values collaboration and connection – and I’ll still be able to write, create, and collaborate with my friends and colleagues. Even though this is not goodbye forever, it does end an important and transformational affiliation, one that I am leaving filled with gratitude. Wishing you many well earned blessings as you walk the next part of the road, Leigh.